On Sunday, January 14, 2018, Knights from Assumption Council 3397, along with volunteers from Saint Bridget University Parish, conducted a “food blitz” where we put together meal packs and distributed them to homeless around the city of Camden. The food packages were gratefully accepted by everyone our Knights met and was a very moving experience for the Knights and volunteers who traveled to Camden. We are particularly appreciative to the volunteers who supported this most recent effort and to Fr. Michael Field who blessed our efforts before we left the Church on Sunday. Thank you to our volunteers that came out to help. Special kudos to Grand Knight Jim Cosgrove, Treasurer Ed Welsh, and past Financial Secretary Neal Cullen and his wife Melissa for spearheading this effort. 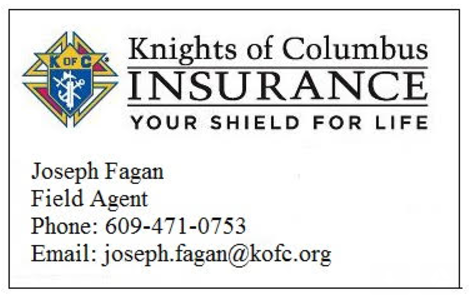 In the future, we plan to target these Knights in Action activities towards other parts of South Jersey as well, including efforts specific for veterans and non-food related programs. By doing this, our Knights hope to bring help directly to the needy. If you are interested in supporting this effort, or any of the efforts of our council, feel free to chat with any of our Knights about it when you see them or contact us here. Previous PostHurricane Harvey – What We Can DoNext Post2018 Spelling Bee Champs!